The unique and innovative Seal & Go shrink sealing technology delivers outstanding results when it comes to baggage protection. The state-of-the-art design and progressive machine technology meets the highest international airport safety standards and helps to improve different processes in the aviation industry. 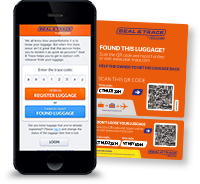 Tests at Doha International Airport and Amsterdam Airport Schiphol showed that sealed baggage never causes any problems with baggage transportation systems. It even helps improve the efficiency of baggage transportation systems. The risk of untangled foil with sealing and errors during transportation is 0%. 2000 mm x 900 mm x 500 mm. The seal process works fully automatic. The conveyor belt transports the piece of baggage through the entire seal process. To retain functionality of the baggage the operational staff removes the foil at handles and wheels after sealing. 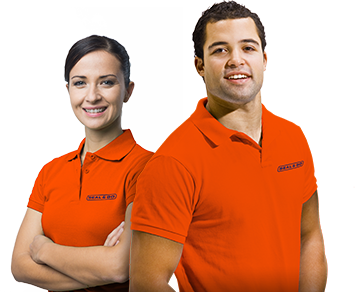 Due to the automatic process, the operational staff has enough interaction time with customers. This results in more communication, higher customer satisfaction and more time to inform customers about Seal & Go products. For our seal service Seal & Go uses shrink foil. Shrink foil reacts to heat and will therefore wrap tightly around the piece of baggage. This foil is tested in compliance with directive 91/155/EEC. The foil is not toxicologically, ecologically or environmentally harmful. Currently, Seal & Go is testing a new bio-based shrink foil innovation. 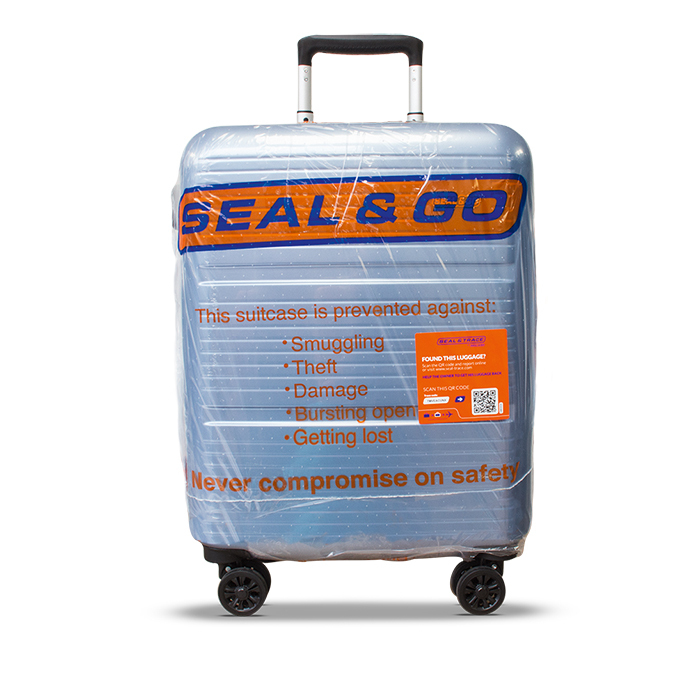 Seal & Go also offers protection through baggage wrapping. By using the world-famous wrapping technique, baggage will be protected with stretch foil. The wrapping process is handled with ultimate care by our highly experienced staff, using high quality stretch foil. For baggage wrapping Seal & Go uses high-quality customized power stretch foil. Power stretch foil is an advanced type of stretch foil, providing more ‘stretch %’ without loss of quality. Meaning less foil consumption compared to regular stretch foil. 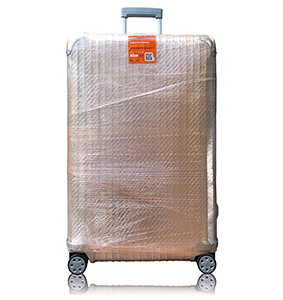 Seal & Go only uses transparent light orange foil to make sure the baggage item will stay recognizable to its owner. Seal & Go aims to offer the highest level of customer service. We select our staff on being friendly and helpful by nature. All new operational staff receives a comprehensive training before they start working at one of the Seal & Go locations.